LEAP is a global movement which influences more than 100.000 people worldwide. It consists of LEAP Summit global conference, LEAPin conferences, LEAP Community and LEAP Program for Future Leaders and Future Entrepreneurs. 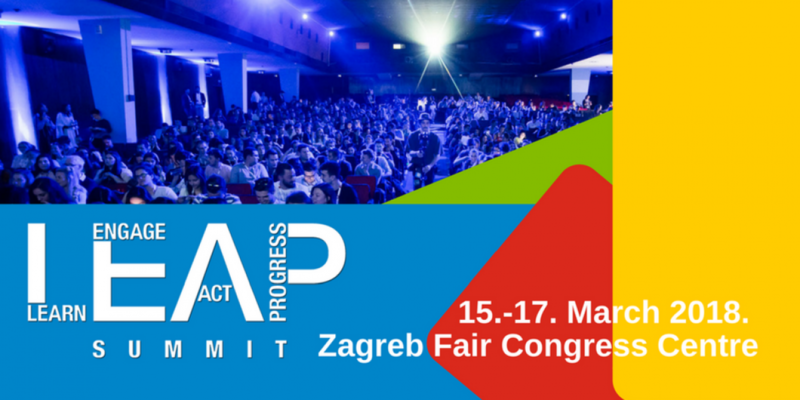 LEAP Summit is the biggest international conference for youth in South-East Europe and it gathers every year thousands of young people from more than 30 countries. LEAP Summit is a 3-day conference, which gathers more than 2,000 changemakers from more than 30 countries who are leaders in their respective communities. The main focus of the conference is on themes connected to innovation, IT and modern technologies, entrepreneurship, career development and life-changing stories. LEAP Summit brings people from all over the world at one place to learn together in order to solve most pressing challenges of our time. What you can expect from LEAP Summit 2018? International party program during LEAP nights. The Summit is connected to topics about IT, business, entrepreneurship, career development and success stories. Even though accommodation isn’t included in LEAP ticket price, on this link you can find a special discount.